Zendesk's customer service and engagement platform is a beautifully simple system for tracking, prioritizing, and solving customer support tickets. 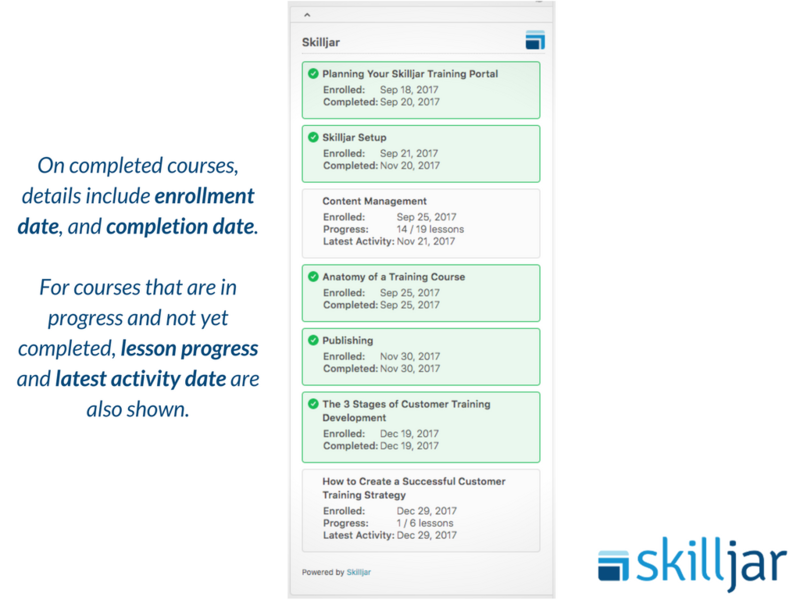 With Skilljar's Zendesk App, a conveniently located sidebar surfaces what courses your customer has enrolled in and completed within Skilljar, right next to their Zendesk support ticket. Sign in to Zendesk, then click the Admin icon in the sidebar. 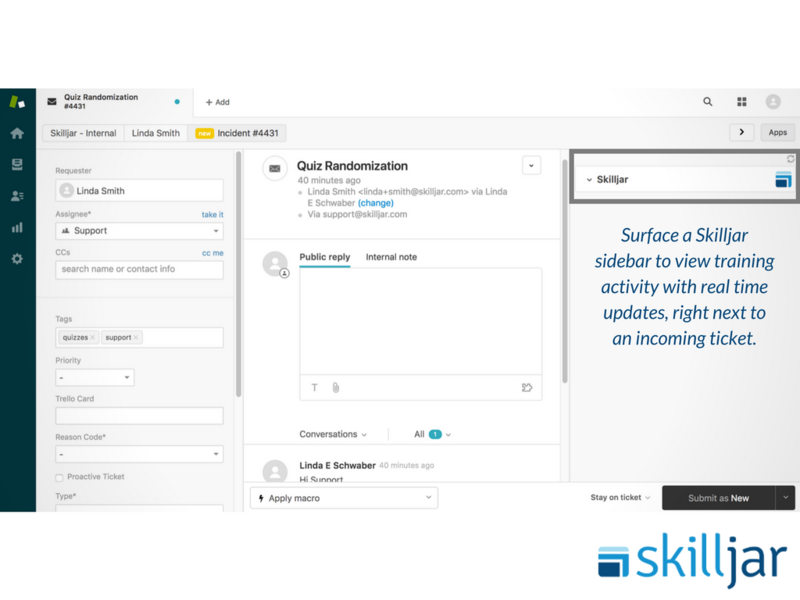 Select Apps > Browse, then find the Skilljar app and click the tile. On the Skilljar app page, click Install app in the upper-right corner.